Big news today, I’m finally sharing the details on something fun and exciting that has been in the works for months. I love sharing simple inspiring projects here at Creative Ramblings, projects that you can recreate at home by following simple instructions and learning new skills along the way. 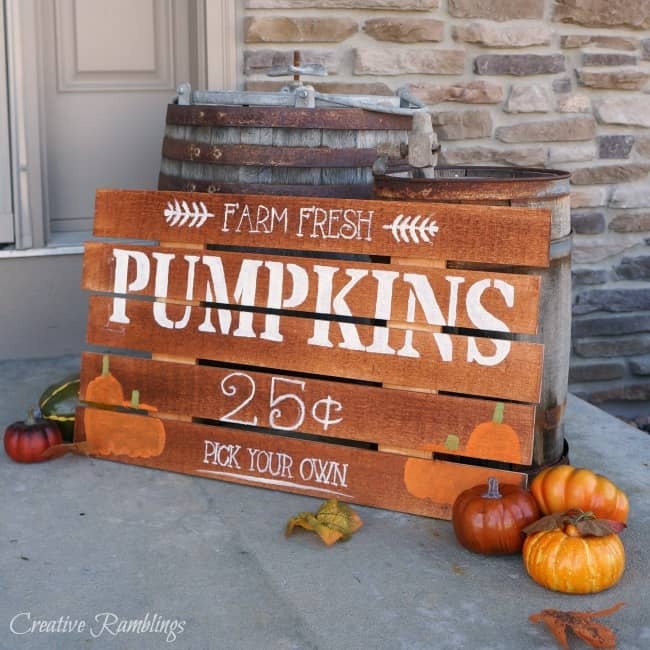 Now you have the chance to create some of my favorite projects, including this painted pumpkin sign, at home with your friends and an expert instructor to guide you. Introducing Craft At Home. This idea was born from my love of sharing crafts here on the blog, social media, YouTube and TV. I read your comments and see the photos you share of your projects and they make my heart happy. I want the opportunity to be there with you and your friends in person and help you create something beautiful. 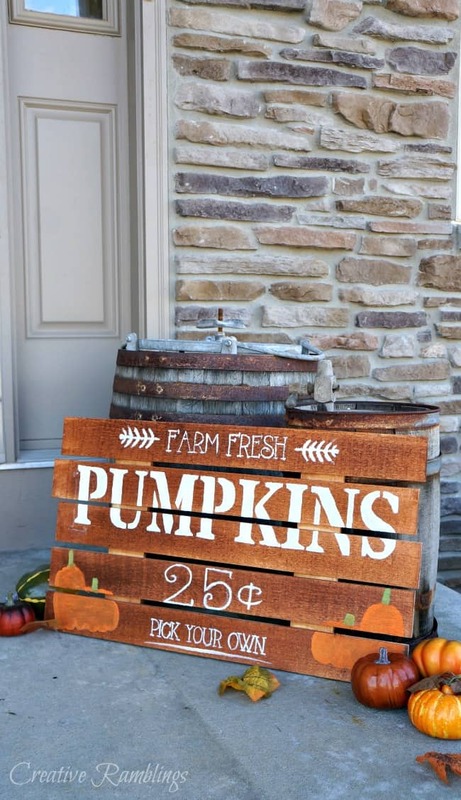 One of the fall projects you can create at a Craft at Home party. Parties are offered in the Metro Milwaukee and Waukesha Wisconsin areas and I’m booking for October now! Pick a project that you and your friends want to create. I will bring everything your group needs to create the project. Offerings change quarterly and with the seasons/holidays. Pick a date and gather 4-8 friends. Contact me below to set a date, time and location. You provide the food, wine, and fun, I’ll bring the craft. Most projects take 1-2 hours and I will be there to guide your group through the process. Pricing get details here. Prices are per person per project. If you’re not excited already, here’s more of an incentive to book a Craft at Home party. The host project is FREE with 4 additional guests in attendance. I’m booking parties beginning October 2016, contact me below to book yours. It would be great if this craft at home party is still available this year. I want to have this party for this year’s halloween for my family. I’m sure kids will love this. Holly, send me an email at creativeramblingsblog@gmail.com, I’d be happy to talk with you about a party.